IT4T Solutions offer Dedicated Developer Services. As working with Freelancers if always a hassles & it also take time to monitor continuously the developer’s work. By hiring a dedicated developer from us you can have apeace of mind & focus on your business. Our rich experience in Travel Technology will help you to get the work completed in less time & within your budget. 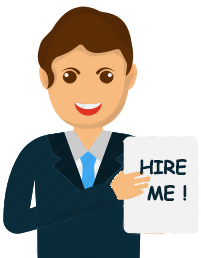 Why Hire Dedicated Developer from Us? IT4T Solutions have a 10+ years of experience in Travel Technology Industry, As a company it is a hub of talented, skilled, and experienced IT developers for Web Solutions for Mobile application. You can hire a developer from anyone but with us will be beneficial – As Travel technology need Subject knowledge which we have, Other will take time to understand the subject but with us it will be quick. So it others will hit & try to complete some work in 12 months with us it can get in 5-6 months.